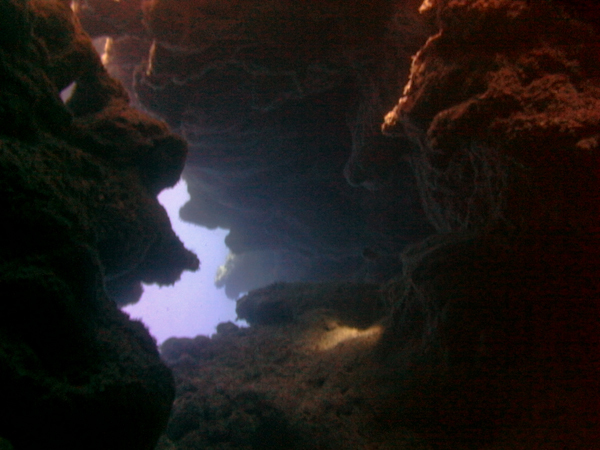 This dive site featured a tunnel that started shallow, roughly 20 feet deep and had many small cracks open enough to let sunlight shine through. When you finally exit the end of the tunnel it opens into a deep channel at about 80 feet. 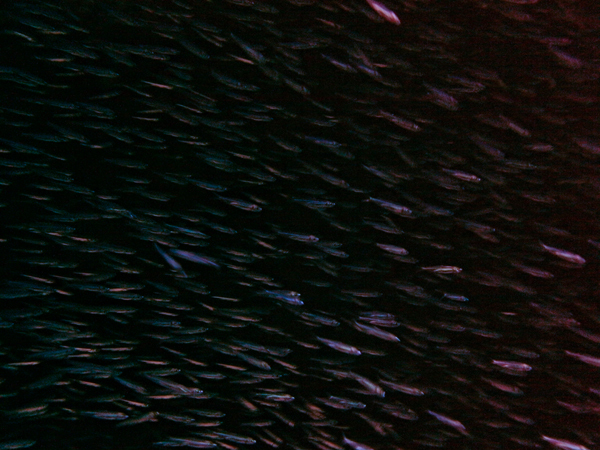 Inside the tunnel we were met by and swam through huge schools of tiny fish. 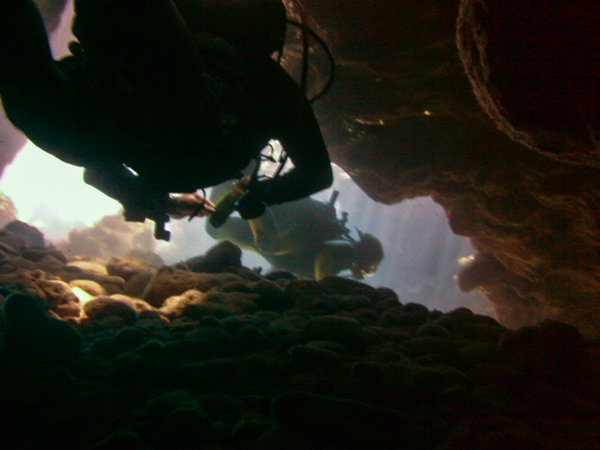 With a shallow depth of 15-40 feet this long, dark, cave-like swim through was simply amazing. 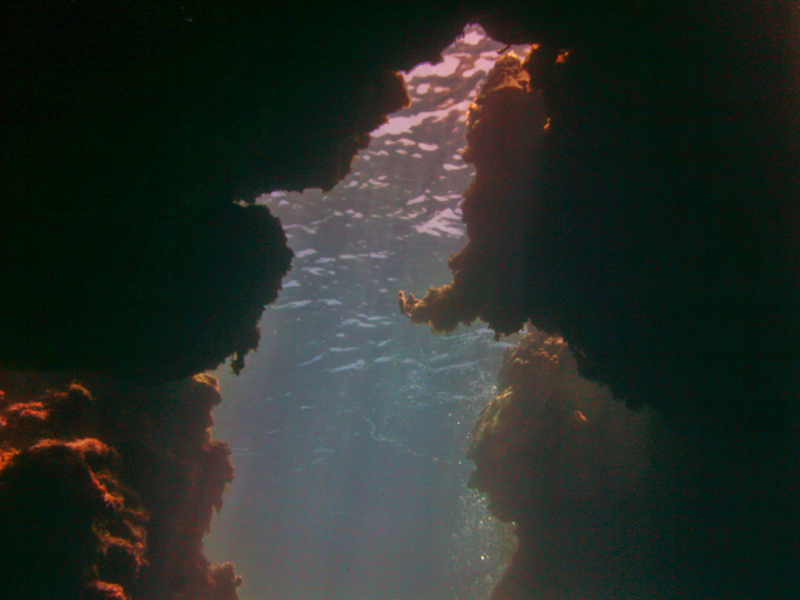 This was my favorite of the all the dive sites we did in Roatan by far. Featuring a maze of tunnels so big, long and dark I actually found myself slightly lost when I stopped to take a few pictures. 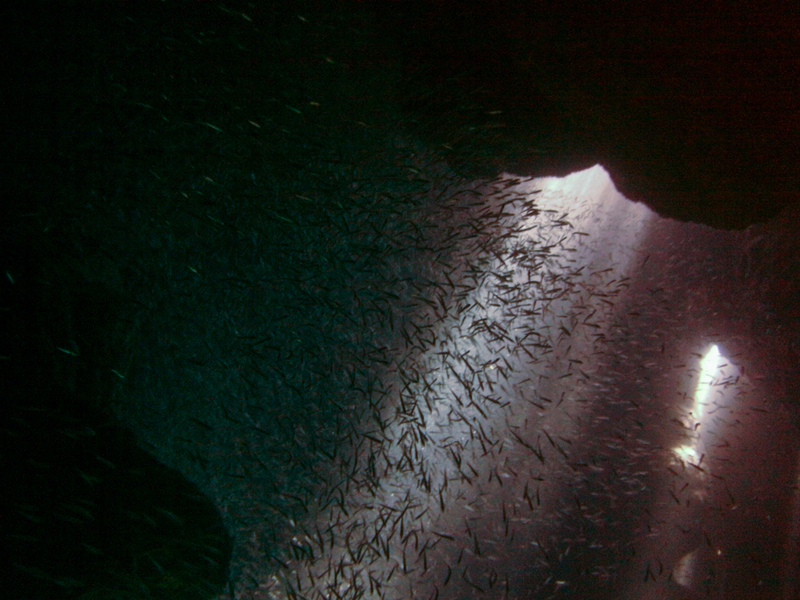 Inside the caverns we found a large green moray eel, a crab having lunch, and hundreds of thousands of tiny fish (which I believe to be silversides and baitfish) that were so thick you couldn’t see a foot through them. Interestingly enough this spot was named because the remains of dolphins have been found inside on multiple occasions. One of those incidents happened in 2007 after a pod of 13 bottlenose dolphins found themselves lost and trapped inside. 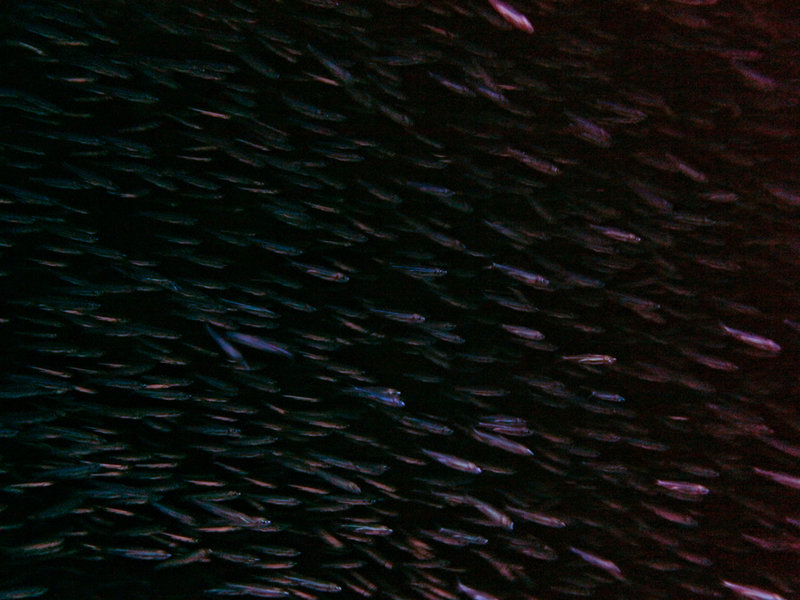 Unable to find their way out, sadly they all drowned. 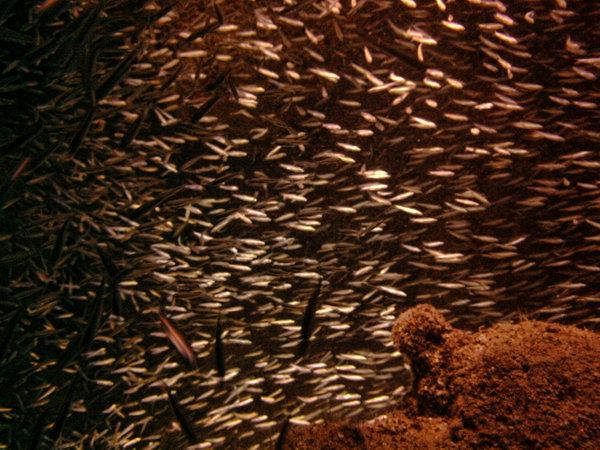 It’s thought that the dolphins were hunting schools of silversides and were unable to get out after following them inside the caverns. 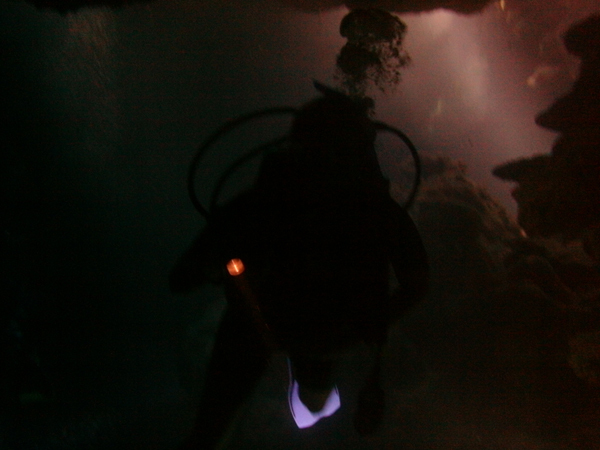 Looks like a great dive! I love the photos of school of tiny fish. The story about the dolphins made me sad. These pictures are really cool. I am also learning swimming lessons and after that I will surely do scuba diving.